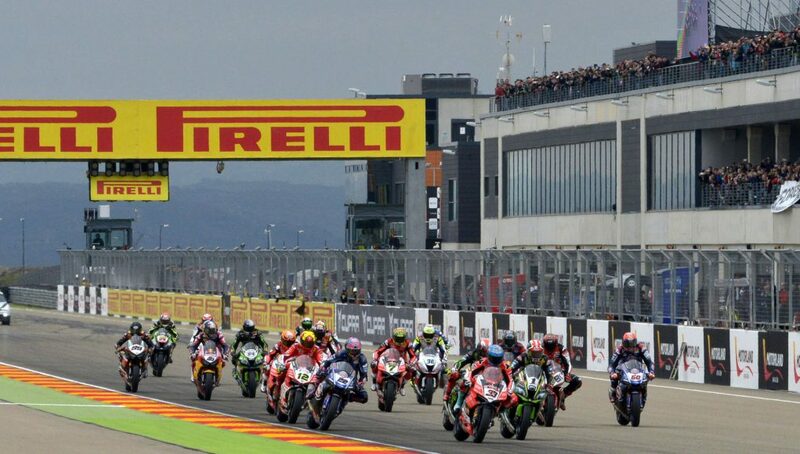 WorldSBK heads to MotorLand Aragon! 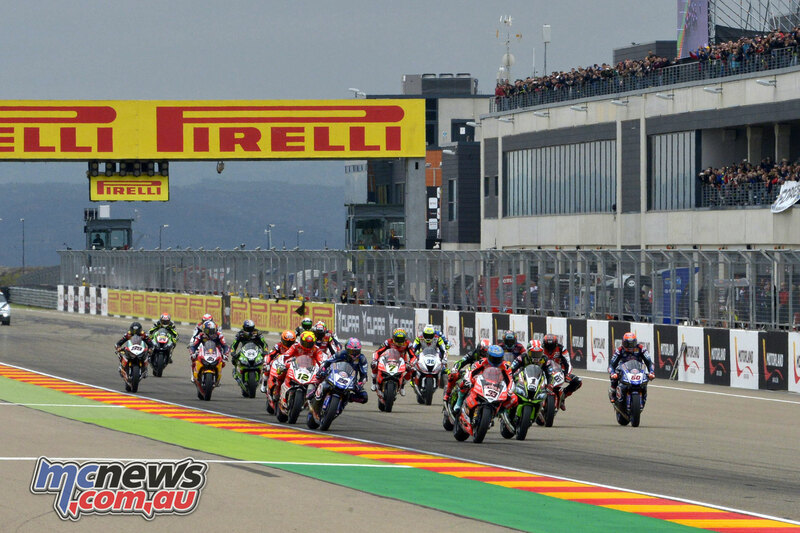 The first stop back in Europe for WorldSBK season 2019 sees the Spanish circuit of Aragon welcoming riders this weekend. MotorLand Aragón has historically aggressive asphalt, especially harsh to rear tyres, in fact, the surface together with temperatures that are not too high in April, can cause many tyre problems. In addition, the sand that is sometimes carried by the wind and deposited on the asphalt can affect grip and drifts towards the centre of the curve. The obvious favourite is a seemingly unstoppable Alvaro Bautista has recorded six wins out of six races in this beginning of the season, matching the rocket starts of Troy Bayliss in 2002 and Neil Hodgson in 2003: the latter went on to win the first nine races that year. In Aragon Bautista will be already aiming for the second all-time string of wins, 9, recorded by Colin Edwards from Laguna Seca/2, 2002 to Imola/2, 2002, and repeated by Neil Hodgson in the aforementioned start of the 2003 season. The all-time record sequence was set by Jonathan Rea in the last 11 races of 2018. However, funnily enough Spaniards do not have a great track record at Aragon. Carlos Checa is the only Spanish rider who achieved a pole, win or fastest lap in Aragon, he also recorded the fastest race lap in the very first race held here in 2011. The last 12 wins in Aragon were all scored by British riders: since the first race in 2014 the winners have been Chaz Davies (7 times); Jonathan Rea (3); Tom Sykes (2). The Brits had taken over from Italy, which won the first four races at Aragon with Melandri (2) and Max Biaggi (2). Ducati also has the first chance to reach the milestone of 350 WorldSBK wins during the Aragon race weekend. 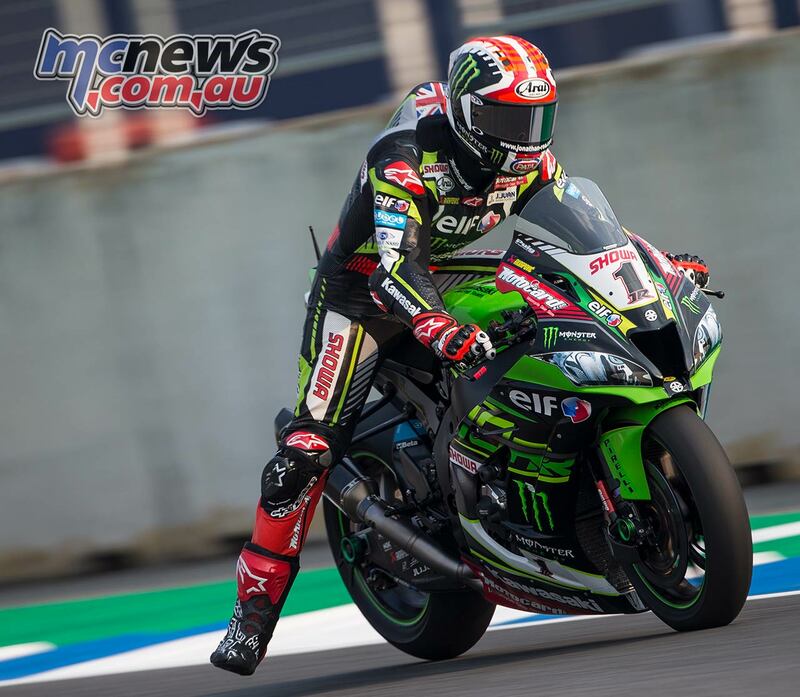 It feels odd to be mentioning history-making opportunities and not be referring to one of Jonathan Rea’s latest exploits with the Kawasaki Racing Team WorldSBK, but that has been the nature so far of the 2019 season. But as they say, opportunity knocks at every man’s door, and the Northern Irishman has built much of his success on remaining cold and calculating through the toughest of times. 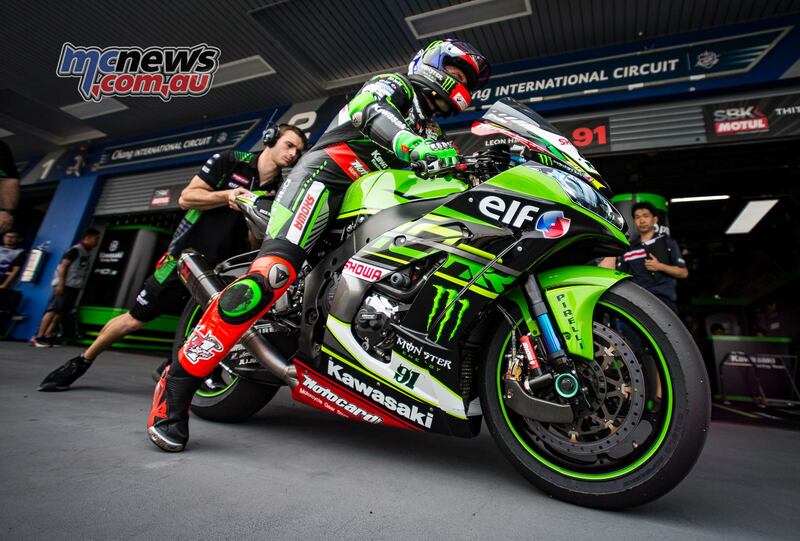 MotorLand Aragon is not one of the four-time champion’s favourite tracks – in fact it’s one of just two on the 2019 calendar where he hasn’t achieved a double – but his focus will stay intact; Rea will be ready to pounce should the chance arise, as will team-mate Leon Haslam, who took pole position last time out in Aragon in 2015. 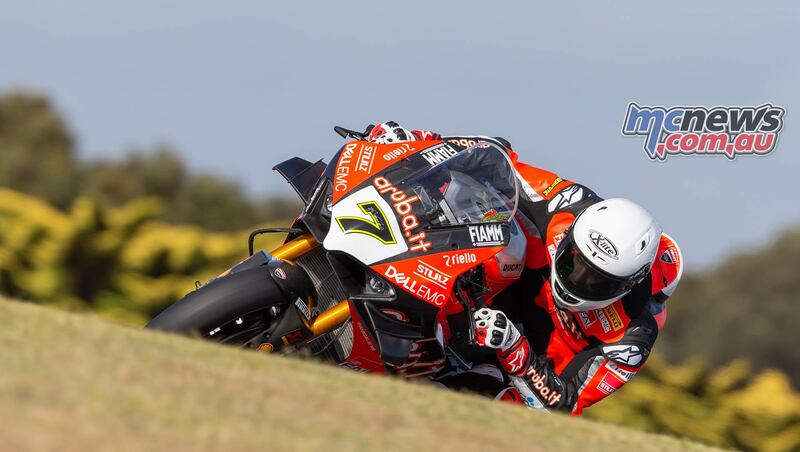 Finding opportunity in adversity is what separates the greats from the rest, and few have suffered more setbacks in recent months than Chaz Davies on the Ducati with Aruba.it Racing. Come Race 1 it will have been nearly a year since the Welshman’s last race win, which happened precisely at the Alcañiz circuit. Davies has built up a treasure trove of performances in Aragon, with seven hard-fought race wins and an additional three podiums. It may arrive a bit early for the Brit in his personal adaptation to the V4 R, but expect him to make several steps forward on his own road to redemption. 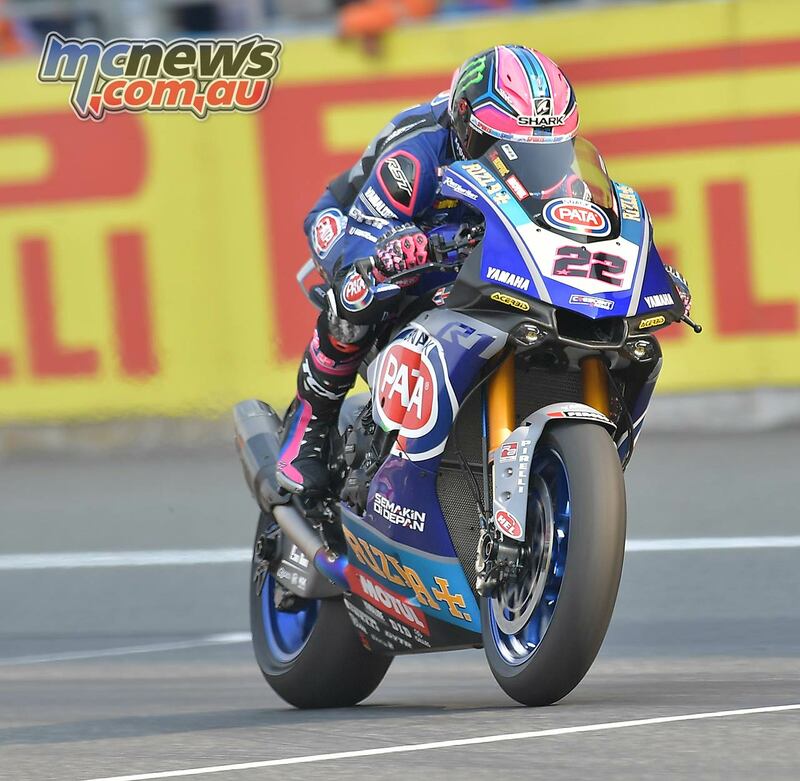 There was a certain sense of dèja-vu in Thailand as Yamaha’s Alex Lowes and Michael van der Mark crossed the line in Race 2 in third and fourth, respectively, for the third time in a row; the same applies to independent standings runaways Marco Melandri and Sandro Cortese in sixth and seventh. All four Yamaha riders have performed impeccably since Round One – in particular the Englishman, who has brought his superb pre-season form into the new season – but how much margin for growth is there? The first European showdown of the year could be an ideal moment to make that final step towards the top of the rostrum. 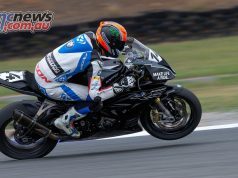 Another manufacturer looking for the final piece to the puzzle is BMW, although Tom Sykes and Markus Reiterberger with the BMW Motorrad WorldSBK Team should find it in the form of an engine upgrade scheduled for later in the season. 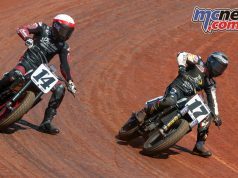 In the meantime, both men can look to the past to find inspiration: the former World Champion secured a dominant double here in 2014, while his partner emerged victorious last season from Spain on the road to the 2018 STK1000 title. 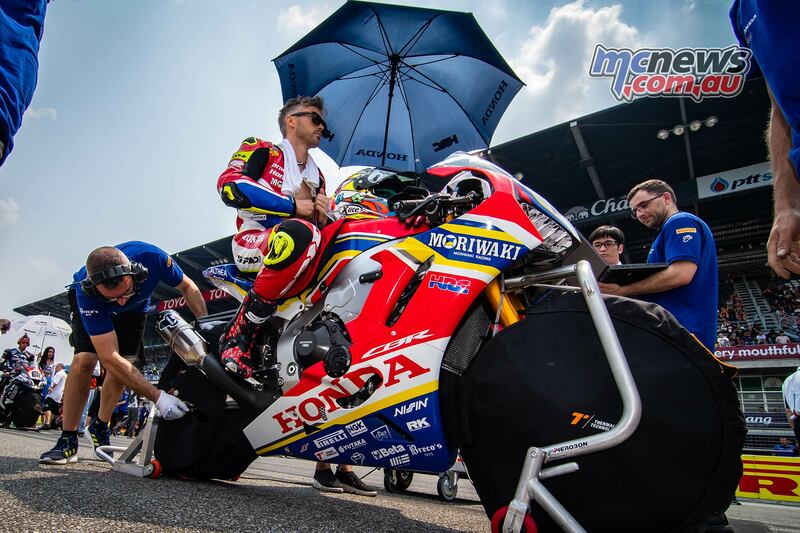 Perseverance will be key for the BMW riders and much of the same can be said for the Moriwaki Althea Honda Team. Still recovering from a blameless crash in Thailand, Leon Camier will simply aiming to be on the grid in Spain. If the 32-year-old gets the go-ahead to race, expect him to keep on pushing the Fireblade to its limits, as the HRC-backed outfit continues seeking answers to find its groove in 2019. 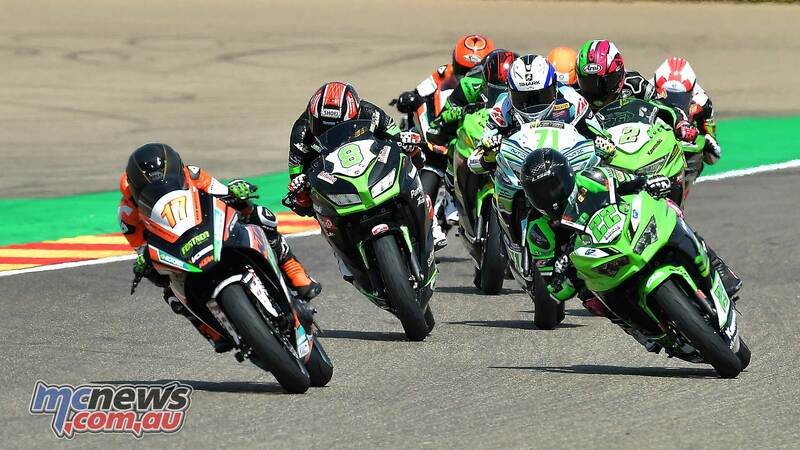 After two edge-of-your-seat races to kick off the year, MotorLand Aragon is ready to host the third race of the FIM Supersport World Championship. If the last few years are anything to go by, the Motocard Aragon Round could play a decisive role in the fate of this year’s championship race. The last four winners of the Spanish race have gone on to clinch the title later in the season – and in unfavourable news for the co-championship leaders, none of them entered Aragon at the top of the standings. 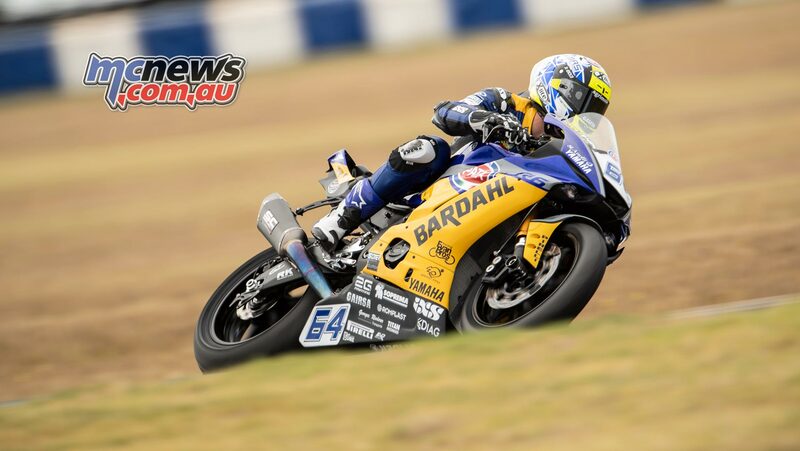 Two men have been the outstanding stars of the early stages of the World Supersport season. 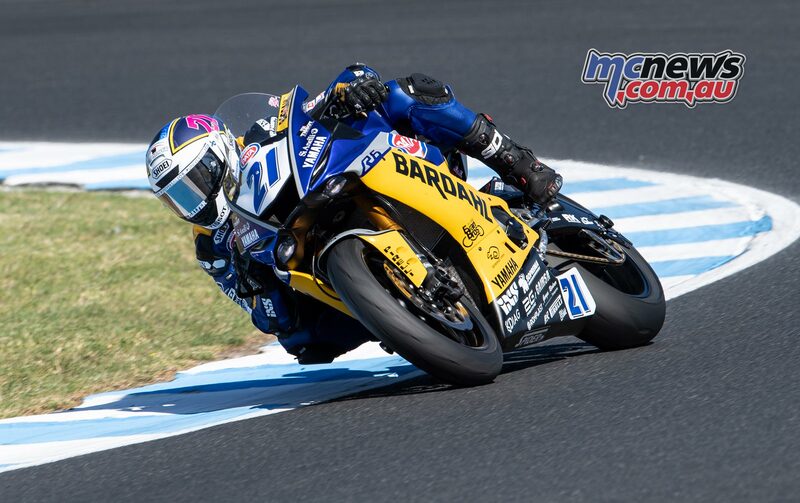 Randy Krummenacher proved to be utterly dominant in the first round at Phillip Island, following that up with a conquering comeback to second position at Buriram. But Krummenacher has always finished the second round at the top of the standings – can he keep up the pace at the third time of asking, after eventually falling back in both 2016 and 2018? Jules Cluzel meanwhile has enjoyed his best start to a WorldSSP season, sitting on 45 points alongside Krummenacher. The Frenchman was unshakeable in Thailand, fending off countless attacks from the riders preceding him, and seems determined to take the crown this year after last year’s dramatic finale. But MotorLand Aragon is a bit of a bogey circuit for the Frenchman, with three DNFs and a solitary podium in six races. Could Cluzel’s luck change for the better in 2019? The men following them in the standings will be hopeful of extending the WorldSSP Spanish streak, starting with the man sat third in the standings. After two consecutive third-place finishes, Federico Caricasulo finds himself 13 points adrift, nonetheless also consolidating his best start to a WorldSSP season. The young Italian finished runner-up in Spain in 2018 and is the only rider to have led in both races this year. Caricasulo will certainly be in contention in every session. The home fans will also have two strong contenders to rally on. 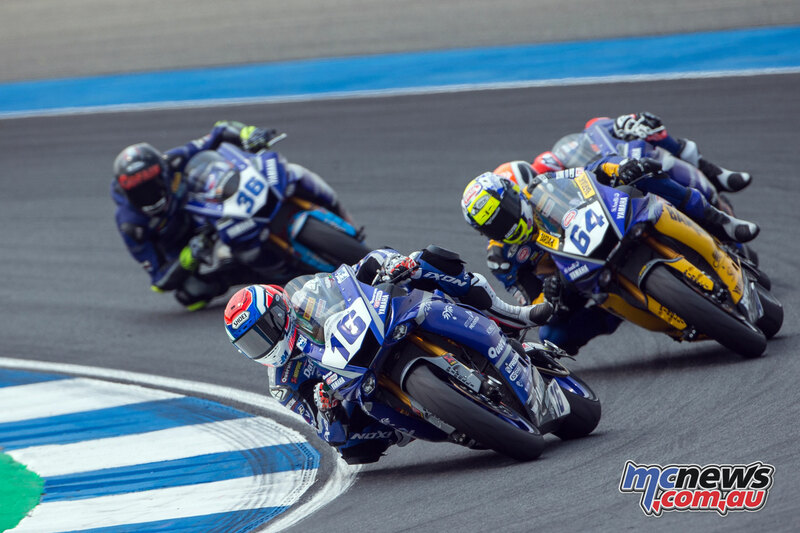 Héctor Barberà and Isaac Viñales have both finished a race in fourth position in 2019 and are guaranteed to fight for the rostrum positions at a track which both men know to perfection, albeit not on World Supersport machinery. The switch over to Kawasaki machinery may not have worked out yet for 2017 world champion Lucas Mahias, but the Frenchman will remain spirited and combative, seeking inspiration from his 2017 Aragonese win. 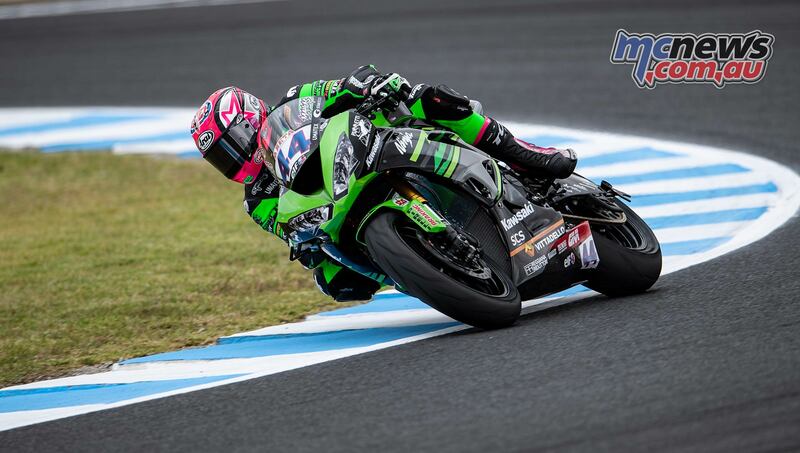 Teammate Hikari Okubo also with the Kawasaki Puccetti Racing Team meanwhile will continue pushing the limits of his ZX-6R, after two strong performances in Australia and Thailand. 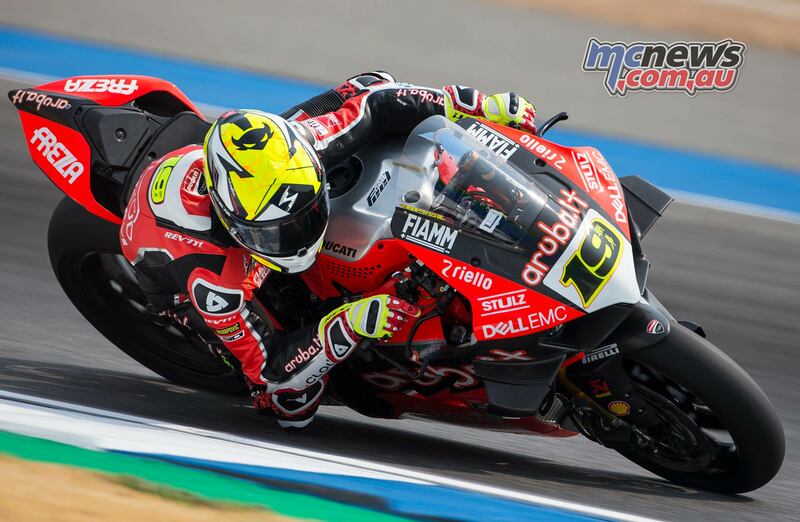 Raffaele De Rosa and MV Agusta Reparto Corse are seeking a first podium at the Spanish track, coming off a strong top-five performance in Thailand, while both CIA Landlord Insurance Honda representatives push to close the gap with their rival machinery. The FIM European Supersport Cup riders will also make their first appearance on the calendar, with a former race winner in Kyle Smith joined by two French newcomers: Xavier Navand and Gaetan Matern. The third round of the World Supersport season gets underway on Friday 5th with free practice, followed by the Superpole on Saturday. 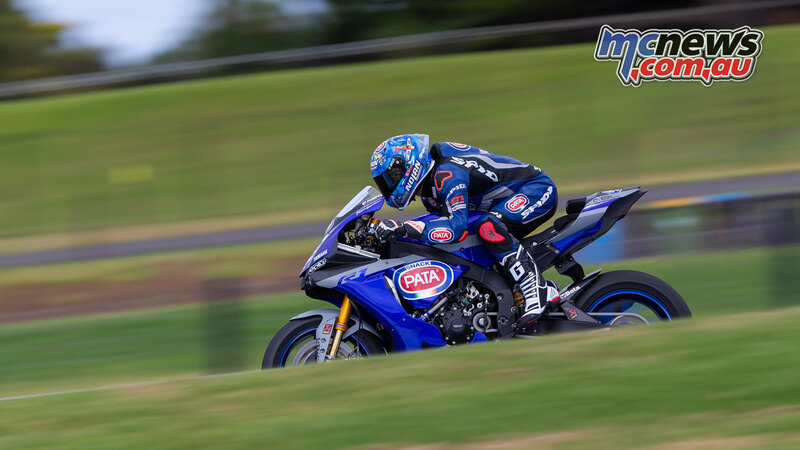 Since 2017, the FIM Supersport 300 World Championship has been a very welcome addition to the WorldSBK paddock, with 10 race winners and a further nine podium finishers in just two seasons of racing. This year over 50 men and women from 16 different countries and five continents will challenge for the WorldSSP300 crown. Reigning champion Ana Carrasco is looking to kick off her title defense in fine style at her home circuit – the Spaniard looking to make more history and become the first rider ever to win back-to-back WorldSSP300 titles, as well as looking to become the first female solo rider to do so. Carrasco has yet to achieve a podium placing at MotorLand Aragon, so whatever the result after the opening race, the championship looks set to come alive. Tough opposition is led in the form of Marc Garcia, who returns to the 2019 line-up, looking to take back his crown he earned in 2017. Garcia failed to finish in Aragon in 2017 so will be looking to start his season strongly. Previous race winners at MotorLand Aragon, Scott Deroue in 2017 and Koen Meuffels in 2018, will also be part of the battle again in Spain, with both showing great potential towards the close of 2018. Meuffels is hoping to give KTM a win in the class again, whilst Deroue will hope to head to the Netherlands a week later in fine form. 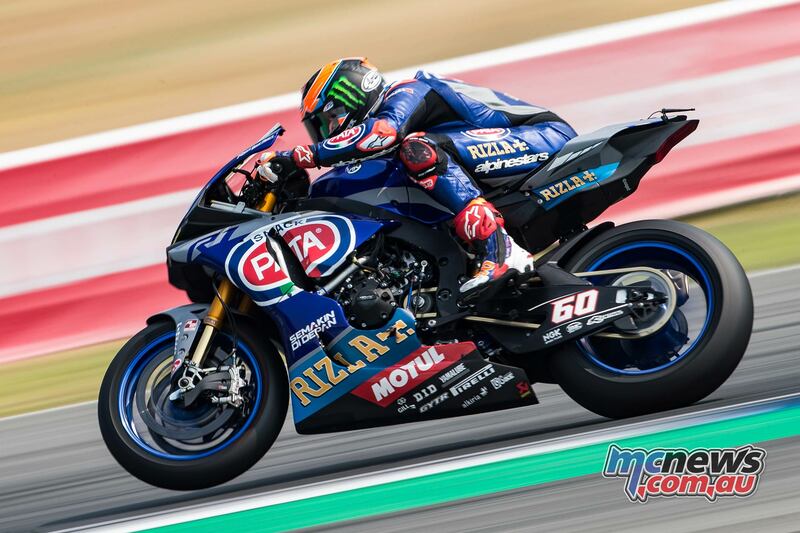 2018 championship runner-up Mika Perez will be hoping to improve his championship position this year and kick-start his title-tilt from MotorLand Aragon, where he has finished third for the past two seasons. 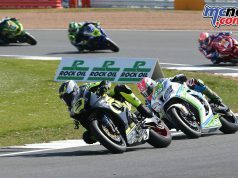 South African rider Dorren Loureiro had a strong end to 2018 and has been eighth in the past two seasons at MotorLand Aragon, making him a protagonist at the sharp end. Popular Indonesian rider Galang Hendra Pratama is leading the Yamaha charge and looking to secure a third class-victory in as many seasons. MotorLand Aragon will be a test for the 20-year-old, as he has never scored points at the venue before. Other notable names include Borja Sanchez, who is without a win in his WorldSSP300 career but has gathered three podiums. Manuel Gonzalez also comes into the season as one of the potential front-runners, having ended his 2018 campaign with three third-places. Riders will be split into two groups from Friday for Free Practice and Qualifying the following day, with the first-ever Last Chance Race taking place on Saturday afternoon.